There is no better promotional tour for the US Navy than the Blue Angels. Once again 2019, they will be flying and performing around the country. This year, the newest pilot for the Blue Angels hails from Atlanta. Blue Angels 7 and 8, Lt. Cary Rickoff, from Atlanta, and Lt. Cmdr. 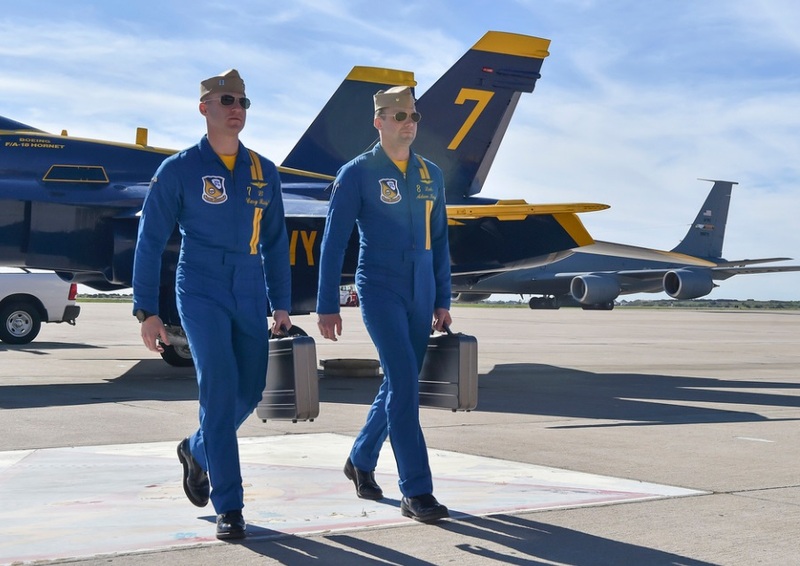 Adam Kerrick, from Huntingdon Valley, Pennsylvania, both assigned to the U.S. Navy Flight Demonstration Squadron, are new Blue Angels pilots. Rickoff and Kerrick will visit each show site during winter training to brief air show coordinators on the team’s unique requirements ahead of the 2019 show season. The Blue Angels are conducting winter training at Naval Air Facility El Centro, California, in preparation for the 2019 show season. The team is scheduled to conduct 61 flight demonstrations at 32 locations across the country to showcase the pride and professionalism of the U.S. Navy and Marine Corps to the American public. A total of 16 officers voluntarily serve with the Blue Angels. Each year the team typically selects three tactical (fighter or fighter/attack) jet pilots, two support officers and one Marine Corps C-130 pilot to relieve departing members.